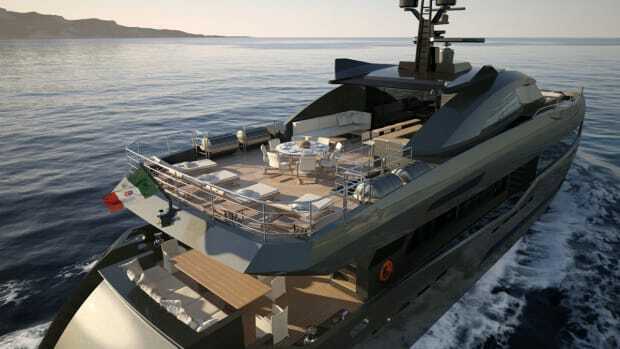 Nobiskrug has unveiled a 295-foot concept with Bannenberg & Rowell Design. 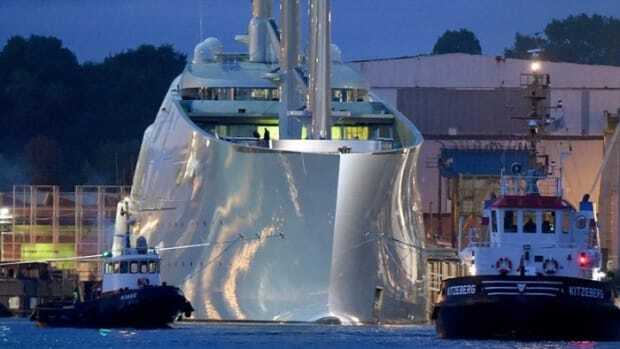 Currently in build for Russian billionaire/yacht owner Andrey Melnichenko, 469-foot sailing yacht A is being completed at the Nobiskrug yard in Germany where she was spotted on the move just after her giant carbon masts – the world’s tallest ever – had been installed. Mogambo was fully custom built by Nobiskrug in close cooperation with the owner and his team to ensure an exceptional yacht. She combines modern styling with a wide range of spacious, open areas and an owner’s terrace. With sophisticated interior design by Reymond Langton Design, Mogambo has a spectacular sun deck that features an air-conditioned gym and Jacuzzi. Hamburg-based Newcruise designed Siren inside and out, as they did sistership Sapphire and the slightly smaller Triple Seven. 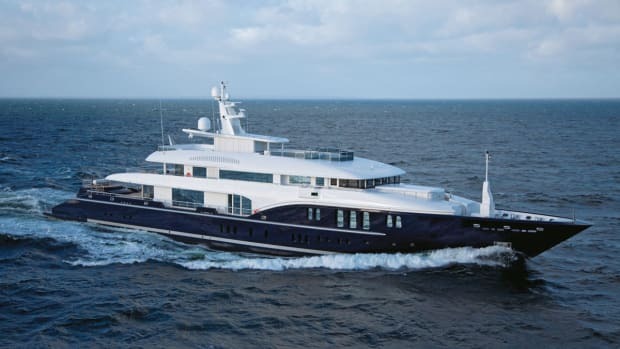 Built with transoceanic capability, Siren has a steel hull, aluminum superstructure and reaches a maximum speed of 17.5 knots with a range of 5,000nm thanks to twin MTU 16V4000M60 engines producing 4,520 bhp. 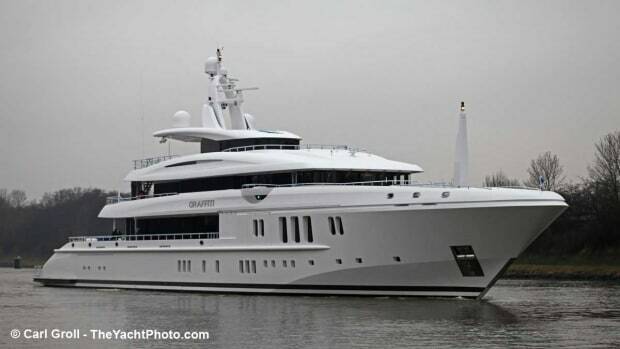 If this yacht reminds you of Siren it is no coincidence. 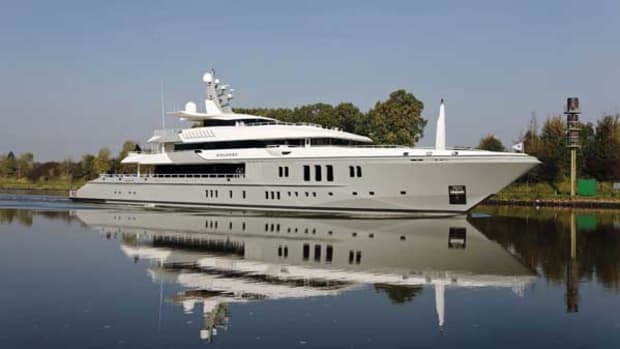 These yachts share elegant styling by Newcruise and engineering by Nobiskrug. 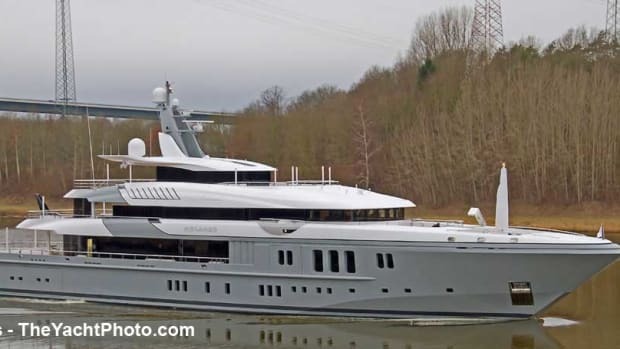 Nobiskrug’s hull 781 was listed for sale for around $115 million during construction and was reportedly sold for about $110 million to new owners last year through Edmiston. 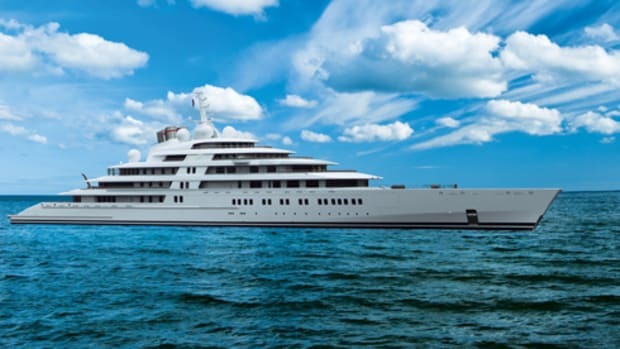 What sets apart the world’s very largest yachts? In the case of the new Nobiskrug Mogambo, certainly, sophistication does. Like it or not, the slightly masculine contemporary décor by Reymond Langton Design using two primary woods (sycamore and ebonized walnut) is nothing short of perfection. 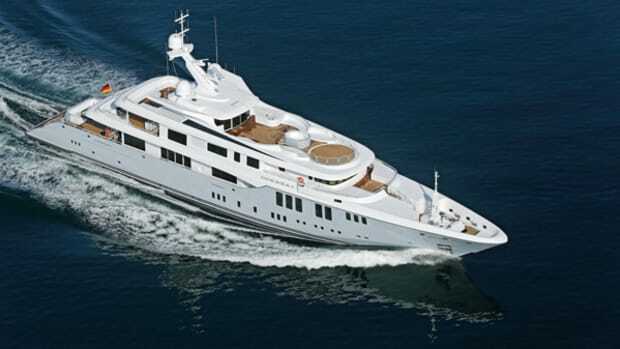 She is one of a beautiful series of yachts all built on the same platform at the Nobiskrug shipyard. She was known as project 783 (Mogambo, also on this list, was project 782). She has an interior by Raymond Langdon. The resemblance is not a casual one. Kristal Waters built these sisterships, designed, according to their marketing materials, to fill a niche at the top end of the market. 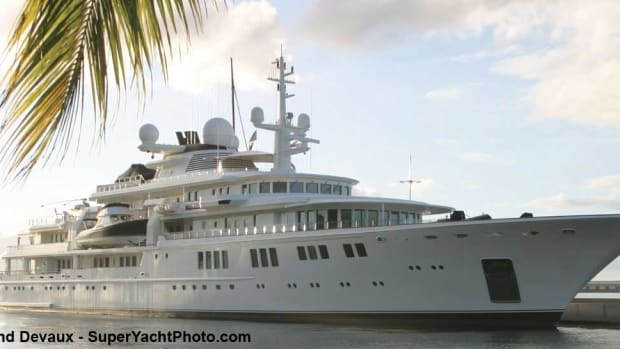 Paul Allen purchased Tatoosh in 2001 for a reported $100 million before ordering Octopus from the Lürssen shipyard. 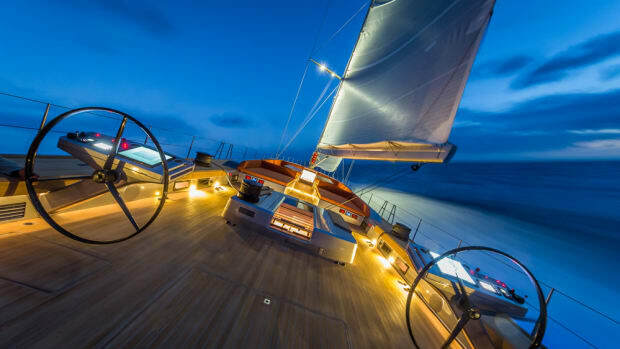 Styling is by Kusch yacht and interior design by Terence Disdale. Twin 3,360 hp Deutz MWM engines power the yacht, which is a common sight in Cannes during the film festival and major conventions. Builders all over the world have been busy in the last few months. 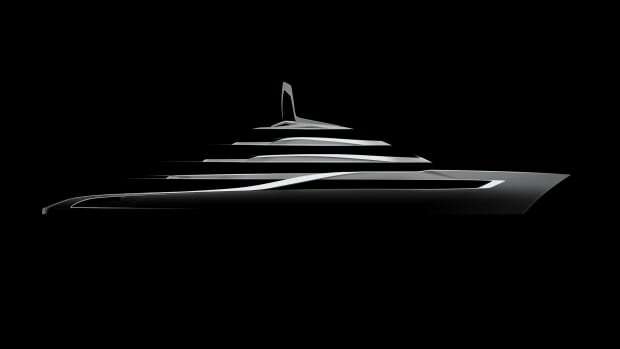 Lurssen has launched Ace (ex-Project Rocky), RMK launched their 4500 and announced a new Sparkman & Stephens project, Palumbo has a new hybrid sport yacht under construction, Seaton and Burger team up for a new expedition yacht, Ferretti delivers Hull No. 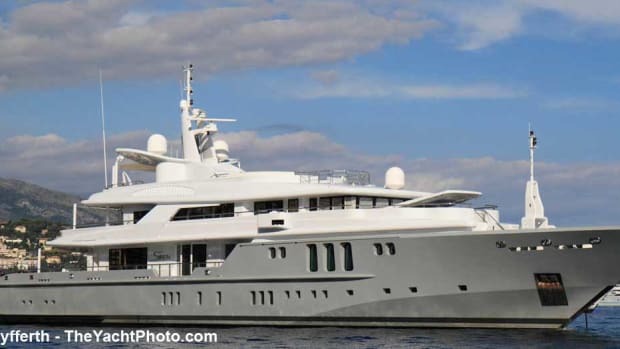 28 of its Custom Line 112 NEXT to China, and Nobiskrug delivers top 100 contender Mogambo.